One software platform for color control, scalable from one site to a global supply chain. 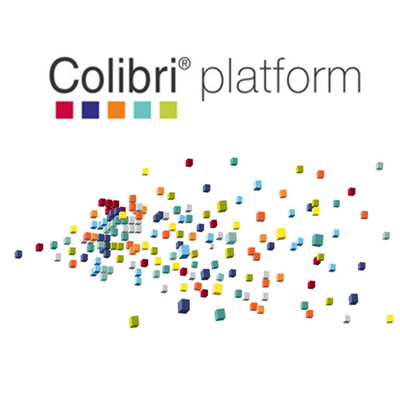 Colibri® Color Management Suite is ideal for single-client and small business to large global enterprise. 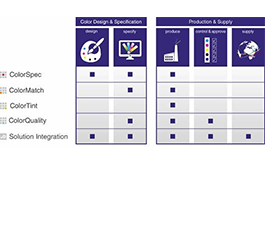 Colibri® color management systems help designers, brand owners and management companies, manufacturers and suppliers to specify, produce, manage and communicate color. This software platform uses a single central database which enables you to add modules and add-ons according to the needs of the business. ColorSpec – Utilized to specify brand standards and colors. ColorMatch – Used to predict color and opacity in a wide variety of applications and substrates. ColorTint –Automatic and manual dispensing of color recipes in production, laboratory or at the Point-of-Sale (POS).